This set includes three products I have personally chosen as products that will get your skin back into shape for the holidays. Let's face it. You've had too many parties, too many cookies, too many appetizers, too much booze. Your skin needs some TLC. So let's give it some TLC. I have three products here that will de-tox your skin, bring it back to normal, hydrate it and have it party ready, holiday ready and just plain ready to go! Too much partying, eating, everything around the holidays leaves the skin dehydrated, looking sallow, feeling dry, looking dull, and in general not its best. Get it back on track so that you can feel great again. So sit back, read the information, and then go get your skin into shape! This cleanser gently cleanses and purifies skin of impurities and environmental irritants. Cucumber extract helps calm the appearance of skin while Sugarcane and Sugar Maple Extracts help improve the look of skin dullness. Vitamins C and E provide anti-oxidant benefits to the skin while Glycerin and Sodium PCA help provide hydration. Skin is left looking clean, feeling soft, soothed and looking radiant. This cleanser is sulfate and alcohol-free. For all skin types. This cleanser gets rid of impurities, de-toxes skin but does it so gently that your skin does not feel dry and irritated afterward. After Cleansing skin and de-toxing it, you need to hydrate it. I have just the mask. 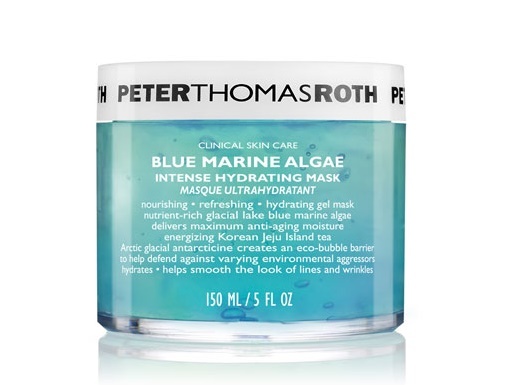 Take a deeeeeeeeeeeeeeeeeeeeeeeep dive into refreshing hydration with this deeply hydrating and nourishing gel mask. Glacial lake Blue Marine Algae help defend against the damaging effects of dehydration (from too much booze) with vital nutrients and moisture. Rich Tea sourced from Korea's Jeju Island helps deliver replenishing nourishment to depleted skin. Sourced from Arctic glacial ice, Antarcticine helps helps create an eco-bubble over skin to help with varying environmental attacks that can increase the signs of skin aging, dehydration lines and the development of visible wrinkles. Helps smooth and plump the appearance of skin, leaving it looking soft and instantly hydrated with a dewy, radiant glow. When my skin is really dehydrated, I leave this on all night long to let is sink in and really treat my skin. 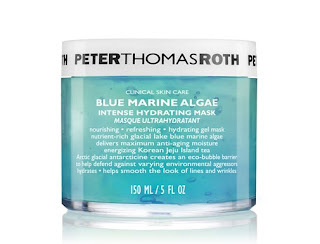 It is a great mask that I absolutely love. This serum is the final hurrah in our little de-tox trio. 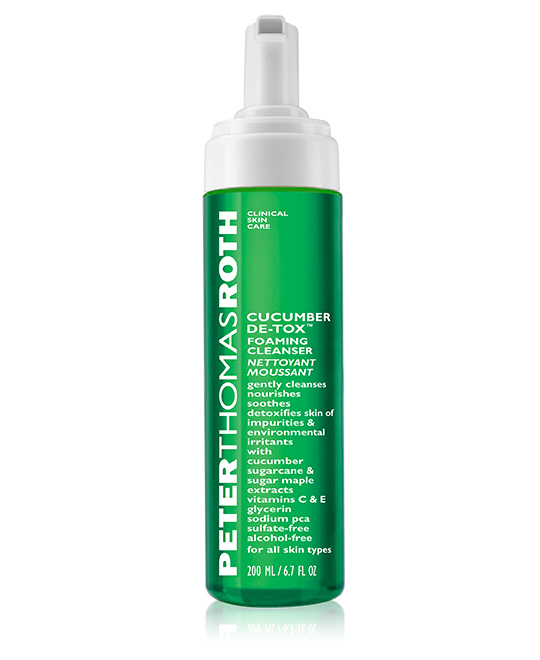 Hydrating and soothing, it is a 78% ultra-concentrated solution of refreshing Cucumber Extract and Hyaluronic Acid that helps restore the appearance of optimal moisture levels while helping to minimize the look of fine lines. 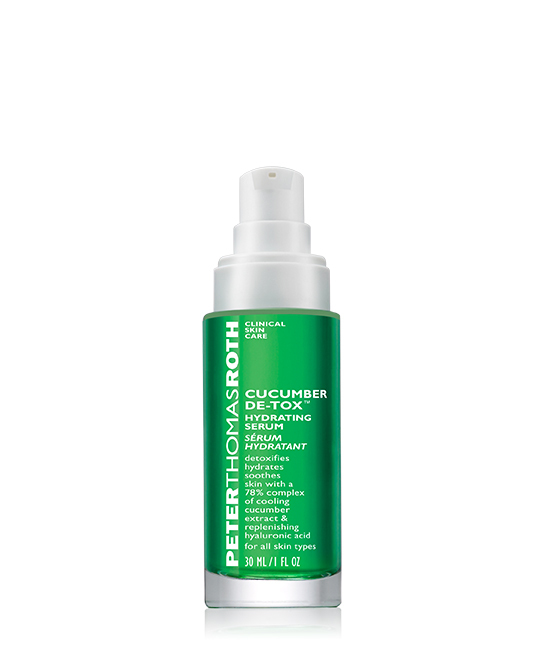 Cucumber Extract helps calm the appearance of skin while Hyaluronic Acid helps improve hydration by attracting up to 1,000 times its weight in water from moisture in the air. It leaves skin feeling silky soft, supple, hydrated and looking radiant. After using this your skin will thank you. I'm sure your skin will thank you after you de-tox it with these three lovely Peter Thomas Roth items. They are available online at www.peterthomasroth.com. They are also available in various salons across the country, and in various internet locations. Always purchase from an Authorized Retailer. Like PTR on Facebook:https://www.facebook.com/peterthomasrothofficial/; Follow PTR on Twitter:https://twitter.com/ptrskin ; Follow PTR on Pinterest:https://www.pinterest.com/ptrskin/; Follow PTR on Instagram:https://www.instagram.com/peterthomasrothofficial/ and Subscribe to PTR on YouTube:https://www.youtube.com/ptrskin.